Although the Constitution of Brazil formally condemning racism, Chapter VIII establishes racial segregation between Indians and non-Indians. It is the result of lobbying indigenous groups and multicultural country and abroad, organized in government and NGO agencies, especially the United States and the European Union. Averse to miscegenation, the legislation is inspired by the model of apartheid South Africa and its indigenous territories, the Bantustans. Art. 231. They are recognized to the Indians their social organization, customs, languages, beliefs and traditions and the original rights to the lands they traditionally occupy, it being incumbent upon the Union to demarcate them, protect and ensure respect for all their property. § 1. Lands traditionally occupied by Indians are those on which they live on a permanent basis, those used for their productive activities, those indispensable to the preservation of environmental resources necessary for their well-being and for their physical and cultural reproduction, according to their uses, costumes and traditions. § 2 The lands traditionally occupied by Indians are intended for their permanent possession and they shall have the exclusive use of soil resources, the rivers and the lakes existing therein. § 3. 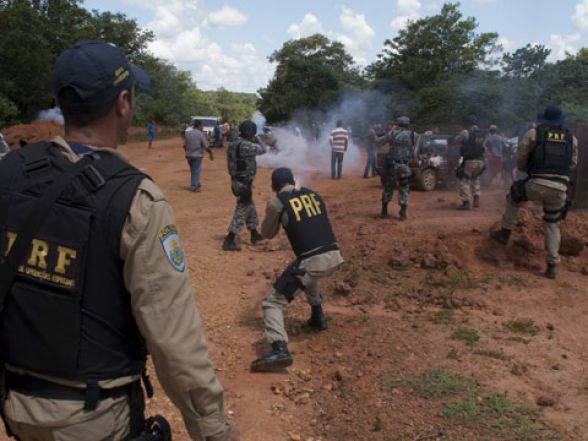 The use of water resources, including energy potential, the prospecting and mining of mineral resources in indigenous lands can only be carried out with the authorization of Congress, after hearing the communities, getting them assured participation in the mining results in the law. § 4. The land referred to in this article are inalienable and unavailable, and the rights to them imprescriptible. § 5. The removal of Indian groups from their lands unless is forbidden, “ad referendum” of Congress, in the event of disaster or epidemic that threatens the population, or in the interest of the sovereignty of the country, after approval by the National Congress, guaranteed, in any event, immediate return as soon as the risk ceases. § 6 null and extinct are, without any legal effect, acts which have as their object the occupation, domain and possession of the lands referred to in this article, or the exploitation of natural resources of the soil, rivers and lakes on them existing, except relevant public interest of the Union, as provided by a supplementary law, not generating the nullity and the right termination indemnity or to sue the Union, except in accordance with the law, for the improvements derived from occupation in good faith. § 7 does not apply to Indian lands to the provisions of art. 174, § 3 and § 4. Art. 232. The Indians, their communities and organizations are legitimate parties to sue to defend their rights and interests, the Public Prosecution intervening in all the procedural acts. Although the Constitution of Federative Republic of Brazil formally condemn racism, the Chapter VIII establishes racial segregation between Indians and non-Indians. It is the result of white indigenist lobbying, of multiculturalist groups of the country and abroad, organized in NGO and governmental agencies, especially from the United States and the European Union. Averse to miscegenation, the legislation is inspired by the model of South African apartheid and its “indigenous territories”, the Bantustans. 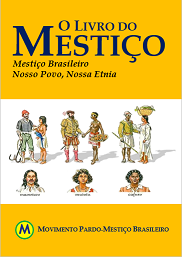 For the implementation of the Bantustans, the Brazilian Federal Government carries out ethnic cleansing against the Mestizo people, as recorded in the image above. § 1. The lands traditionally occupied by Indians are those on which they live on a permanent basis, those used for their productive activities, those indispensable to the preservation of environmental resources necessary for their well-being and for their physical and cultural reproduction, according to their uses, costumes and traditions. § 5. The removal of Indian groups from their lands is forbidden, unless “ad referendum” of Congress, in the event of disaster or epidemic that threatens the population, or in the interest of the sovereignty of the country, after approval by the National Congress, guaranteed, in any event, immediate return as soon as the risk ceases. § 6 Null and extinct are, without any legal effect, acts which have as their object the occupation, domain and possession of the lands referred to in this article, or the exploitation of natural resources of the soil, rivers and lakes on them existing, except relevant public interest of the Union, as provided by a supplementary law, not generating the nullity and the termination right indemnity or to sue the Union, except in accordance with the law, for the improvements derived from occupation in good faith. Original text in Portuguese here. Posted in Antimestiça, Brasileira, Legislação, Racista.